After the busy harvest season of Virgo, and before the intense descent into the darkness of winter with Scorpio, comes Libra making great effort to maintain a delicate balance. From September 22nd, the well-known Autumnal Equinox, until October 22nd we experience those golden days when nature seems to take a pause and everything is a bit dreamy and hushed during the day light hours as the nights become ever crisper, colder, and darker. 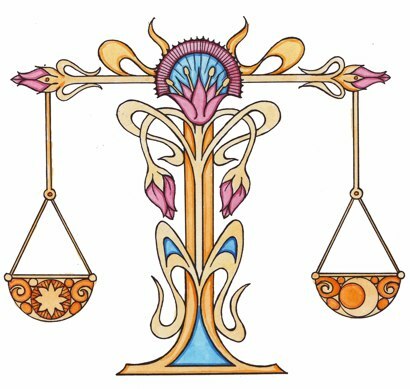 The scales of balance known as Libra were called Zibanitum (scales) by the Babylonians, Zugas (yoke) by the Greeks, Tula or Tulam (balance) by those in India, and Tien Ching (Celestial Balance) by the Chinese. The Egyptians found a deep significance in these scales of balance. 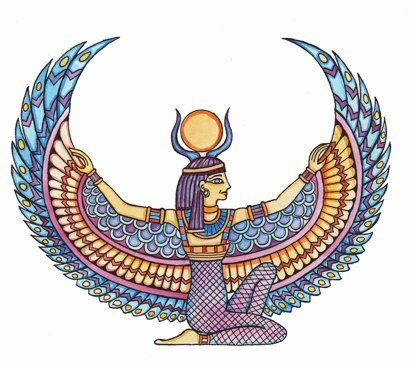 One mythic version has the goddess Maat, at the time of death, placing the human soul on one scale, and a feather on the other. Should the scale tip but slightly, the soul will have to reincarnate again with the goal of expiating that extra weight. In the Egyptian Book of the Dead, as recorded by Thoth, Anubis weighs the dead person’s heart on a scale, balancing it against a feather, symbolizing truth. This takes place in the Double Hall of Justice in front of the deceased, and an entire assembly of gods and goddesses, with Osiris, ruler of the underworld, presiding. If the deceased fails by being too heavy, his heart is consumed by a beast, the Devourer. Yipes. Delicate balance is an understatement! The Scales of Libra is the only constellation represented by an inanimate object. There has been considerable confusion over the origins of this constellation. We do know that in 700 BC the Babylonians used qaran zaquqipi (the Scorpion’s horns) as an alternative name for Libra. Alpha Librae, it’s brightest star, is traditionally known as the ‘southern claw’, while Beta Librae is the northern claw. Unlike the constellation of Virgo, Libra ranks 29th in size and consists of just 35 visible stars It covers but 1.304% of the sky. A globular cluster within it, N.G.C. 5905,5M was discovered in 1702, and William Herschel, the discoverer of Uranus, later discerned 200 faint stars in it. The glyph of Libra depicts the setting sun about to sink below the line of the horizon, symbolic of the withdrawal of vital day forces after the intense activity of spring and summer. It also reminds one of the beam of a pair of scales, which suggests the weighing of the self against the not-self in the hopes of achieving some kind of balance and equilibrium between subjective and objective consciousness. Libra is a Cardinal Air sign whose ruler is Venus. The element of Air emerged first through Gemini, a Mutable sign, so that by now Libra’s thought processes are less inquisitive and more concerned with weighing everything to see both sides of any given issue, situation, or story. The Cardinality of the sign shows the ability to take initiative, but unlike its opposite polarity, Aries, Libra is more deft and subtle, so that others often do not realize that the initiative has been taken. This makes of Libra both an expert strategist as well as an elegant diplomat. Some famous Libras who showed these skills were Dwight Eisenhower, Winston Churchill, Lech Walesa, and Margaret Thatcher. The cliche for the females of the sign, ‘the iron fist inside the velvet glove’, most aplty describes Ms. Thatcher’s style. The leadership of Libra tends to be marked with the finesse of manipulating both people and circumstances through the art of diplomacy. Probably Librans do better as counselors and advisers rather than debaters. They are really better at helping others to make up their minds than doing so themselves for they are known for ‘straddling the fence’ and endlessly consulting back and forth with others before making a decision, though ultimately they often make the right decision after such lengthy deliberations. Even so, when faced with hard choices, which demand taking a stand, their innate desire for justice and harmony may even collapse unless they are fortified with elements of fire or Scorpionic planets. Venus, as ruler of the sign, shows her more ‘airy’ qualities in Libra rather than the fecund, earthy aspects of her other rulership, Taurus. The movie The Adventures of Baron Munchausen depicted with wit and style this Venusian quality. Aphrodite, played by Uma Thurman, takes the Baron up, up and away from her husband Vulcan’s dirty and fiery forge to the celestial dome of her idealized paradise. Such airy bliss is fleeting at best. Libra in its search for ideal love and union is often plagued with paradox along the way. Marriage, said to be under the jurisdiction of Libra, is often the ‘fiery crucible’ where true love is tested for its metal of endurance. The alchemical union of opposites is never as easy as it appears when young lovers are first star-struck by the arrow of Aphrodite’s son, Eros. This search for harmony and balance can move into all sorts of other types of relationships such as the art of placement, interior design, floral arrangements, clothing and fashion design, etc. Good taste and manners go hand in hand with Librans, and their homes are often havens of peace and harmony, as well as centers for gatherings and soirees. Choreography is another excellent field for the Libran art of placement whether in dance, ice skating, or gymnastics. Less artistic avenues of expressing balance are seen in the business world of accounting, banking, and merchandising. Libra rules the kidneys, those two organs which regulate and balance the workings of the internal systems of the body by filtering and keeping the body pure of toxic substances. The lower back is Libran turf and its suppleness is important in maintaning good posture and grace of movement. Having progressed through the first six signs of the year symbolizing the soul’s journey to develop a sense of Self, the I of individuality is now ready to join with the Other and create union through partnership. Libra, of all the signs, has the most to do with relationship, especially of the one-to-one kind. It is a particularly romantic sign more akin to chivalrous love than the steamier Taurus/Scorpio types of love affairs. Libra truly enjoys the art of courtship. Librans are ‘people persons’ and generally have a wide circle of friends. Their main thrust, however, is towards true partnership where equality and harmony are the ultimate goals. Libran rising people identify more as a ‘We’ than an ‘I’, as do those with strong groupings of planets in their 7th house. Sun-sign Librans are questing for partnership and will learn their greatest lessons in life by being in intimate relationship with another. Contractual agreements come under the jurisdiction of Libra, and marriage is certainly a binding agreement. Historically, marriage was not about love but more of an arranged merger to aid political, social, or religious agendas. In mythology Juno/Hera, married to Zeus exemplified the power issues and struggles, which arose out of such a binding arrangement where true union was absent. She had been abducted and forced into the marriage, but she took vengeance on the ‘other women’ who allowed themselves to be involved with a married man/god. Vulcan, seemingly fared no better married to the goddess Venus, herself. His anger at her infidelities was sublimated into his art, but also used to trap her with her lover, Mars. These are not very encouraging ‘happily ever after’ archetypal tales. Libra is a sign full of paradoxes and contradictions as it attempts to find the balance between life and death, consciousness and unconsciousness, peace and war, love and hate. Certainly marriage is the testing ground for learning to love and accept that which we are not. Eros and Psyche is a more fully-balanced myth exploring these deeper themes. This is a monumental story, which has been written and re-written in many and various ways for centuries now. My favorite version is by C.S. Lewis, Til We Have Faces. Both Erich Neuman’s Amor and Psyche, and Robert Johnson’s She explore this myth as they analyze feminine psychology. Psyche, a mortal, is considered to be more beautiful than Aphrodite, whose vanity will not allow such competition. She thus arranges for Psyche’s death and asks her son, Eros, who is usually given the job of shooting mortals with his arrow, to make sure that she meets her demise. As he attempts to do this he accidentally shoots himself and is instantly in love. Hmmm. He takes Psyche to his incredible castle in the sky where she is given every consideration to enjoy herself by day, but is blindfolded at night and told never to look at her husband, for he is an immortal. During their nightly trysts she is in total bliss. Finally, after wiling her days alone, she asks to be allowed to return to her home for a visit, and he obliges. While home she confides in her three sisters who place doubt in her mind that perhaps her husband is really a monster. This Air sign affliction to go up into the mind, rather than staying in the heart, creates a questioning that leads to Libra’s dilemma of ‘straddling the fence’. Giving in to her doubt, once back with her Eros, she does the forbidden and lights a lamp to see for herself who her lover-husband really is. Of course he is absolutely beautiful and divine, but—alas—a drop of oil falls on Eros, he awakens and must then vanish from her. Thus begins her ordeal of mastering three nearly impossible tests, set for her by Aphrodite, to win the right to be re-united with Eros. This tale, altogether too long to relay here, ultimately shows a triumphant Psyche completing all three taks with the help of the instinctual/animal kingdom, and winning her true love back, as well as immortality. This myth is both symbolic of the outer, as well as the inner, alchemical marriage of opposites. In most modern-day romantic marriages there is the initial starry-eyed phase where love is ‘blind’ to all realities but the projections of ones anima or animus onto the other. Then disillusionment sets in at some point and the partnership must go through the tests, trials, and challenges of becoming conscious, sometimes through horrendous power struggles, before discovering how strong the bond of love really is. If these tests are endured and consciousnesses in love prevails, the couple is united, once again, in true equality where inter-dependency, not co-dependency defines the relationship in a bond of fairness, cooperation, beauty, harmony, and balance. All three outer transpersonal planets made their way through Libra in the last 20th Century, changing forever the concept of partnership and marriage. Neptune was in Libra from 1942 until 1956, subtly but surely dissolving the older more patriarchal forms of pre-World War II. Those born with this signature have perhaps idealized romantic marriage, yet have wanted to maintain their right to individuality and creative uniqueness as a Pluto in Leo generation simultaneously. Uranus did its work of revolutionizing Libran concepts during the years 1968 through 1975. When Pluto passed through Libra from 1972 through 1984 great disillusionment and truth-seeking over-hauled the institution of marriage and brought a greater depth of understanding into the fields of psychology and sociology in understanding all relationships. Divorce was rampant during those years, but the ‘institution’ has survived and now encompasses more than just traditional hetero-sexual unions. The very nature of what it means to be ‘married’ has also changed as more and more couples prefer to create their own partnership outside the sanctions of church or state, or within those sanctions they are seeking greater equality and fairness in what each partner brings to the union. The best way to learn about the real workings of astrology is to study the lives of real people and see how the characteristics of signs and planets play out in their lives. I have chosen two examples of Libra for this article. John Lennon born October 9, 1940 in Liverpool, England, lived only 40 years before being assassinated in front of his home in New York City. In those 40 short years we can witness an amazing evolution of a Libran’s search for harmony and peace in not just marriage, but in his relationship with himself and the greater outer world. 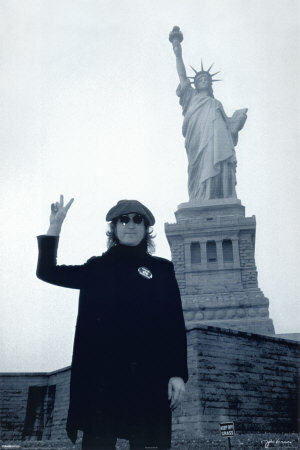 One of the better books to chronicle his journey is by Jon Wiener, Come Together, John Lennon in his Time. 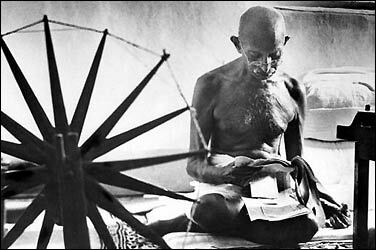 The best way to learn about Gandhi is to go to the source, himself. He wrote his life story in The Story of my Experiments with Truth. Another excellent and easy to read book about him is Eknath Easwaran’s Gandhi the Man. Like John Lennon, Gandhi stated that the most important battle he ever fought was in overcoming his own demons, fears, and insecurities. He did his own inner alchemical work. His relationship with his wife, Kasturba, began at the tender age of 13 years. Imagine! That he experimented with numerous active-celibate relationships with many other women later in life is no secret. They kept him warm in bed. He was certainly a skinny little man by then! “His relationships with women were, from beginning to end, as pure as mother’s milk”, said one female disciple. That he had an amazing mastery over himself is also no secret, and is mirrored in his birth-chart by a strong fixed-sign T-square. The legacy that he leaves as a spiritual and political leader is immense. The concept of nonviolence is still very much alive, but practiced by the minority in most of the world sadly. Will the hearts of humanity wake up in time to end violence and misery on this planet? You are most welcome. I appreciate the feed-back. this is amazing. everything you have described about the libra is completely accurate. i think what you have written is brilliant and you are very insightful and smart. everything you have said about the libra and the connections with psychology and marriage, and john lennon and ghandi is so accurate i am amazed. thank you so much for this incredible website. sorry, i have to comment again. i think you are brilliant. i am still in shock about how accurate and insightful you are. honestly you have no idea how much that just effected me. Thanks for seeing my glitch, Wendy! I’ve corrected it to the 9th. I really enjoy reading about my sing. You had written some things I never read before. I love that you also put in book I can read and movies I can see. Thank you for taking the time on this. Hi i would just like to say thank you so much for your Libra insight its fantastic… how did you come across all the information? I especially love the quote by Gandhi. Great research!!! I follow my intuition mainly. Things just start to ‘appear’ as I focus on what I want to write. Thanks for your compliments Erin. I do try to ferret out good examples that are, for the most part, uplifting. Incredible read, even at the 2nd time around. I am solar Pisces and most of my gfs have been Libras- now and before I started studying astrology. I don’t know why that is: My descendant is in Scorpio, my moon is in Aquarius; only thing I chart is a 6th house and Asc. Node in Libra. Anyways, this is one of my favorite signs, especially for females: this girl I knew and grown to love was so aloof, yet so appealing; to me and everyone else. We courted a little had a great physical relationship, but both knew it couldn’t make permanent. Now the shadow sides, especially for male Librans, are well… disturbing. I think of Vladimir Putin and personal experiences. Thanks for another good comment Paul. So you are a Taurus Rising, Venus ruled. Perhaps that is one explanation. Libran women are very Venusian and often physically attractive. Where is your Venus? Being a Pisces it could only be in a few signs like Aquarius, Pisces, or Aries probably. You say your Moon is in Aquarius, so you need the element of air. Yes, My Venus is in fact in Pisces in the 11th house. My last lady Libra had both her sun and moon in Libra. What’s funny is that she also said once that Pisces were her favorites(she eventually married another one), leading me to think that Pisces and Librans have more compatibility than what’s written in books. “The need to dialogue with others…” “To dialogue?” All that beautiful prose, and it’s “to dialogue”? Phooey. Jane—No apology necessary. You sounded frustrated. Dialogue is a rather stilted term I admit. Libra needs a lot of give and take, like two dancers spinning around, both have to carry their own weight or one ends up completely ‘out of balance’. I do prefer the word conversation as long as both people are allowing the other to speak!